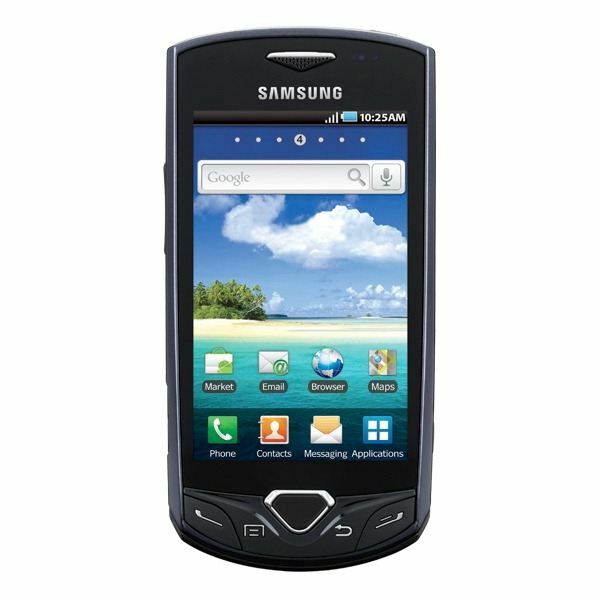 The Samsung Gem was first thought to be Samsung's entry level smartphone set to be released on Verizon. 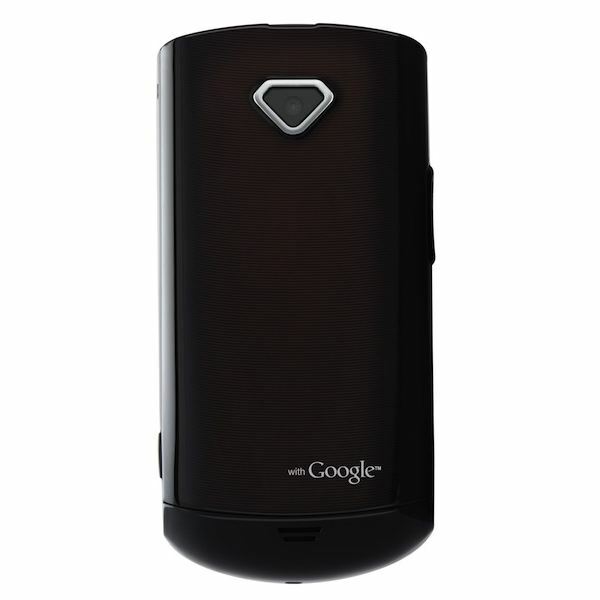 Shortly after, the Samsung Gem was released with little fanfare on February 10, 2011 on Verizon's Alltel. The Samsung Gem is another attempt by Samsung to capture entry level customers, those who don't want or can't use a Samsung Galaxy S series. Samsung has attempted to capture this market with the likes of the Samsung Galaxy 3 and 5, and has recently announced the Samsung Galaxy Mini, Ace and Fit, which are all aimed at the same market. The Samsung Gem comes in an attractive little design, somewhat similar to its older brother on Verizon, the Samsung Fascinate. However, the Samsung Gem doesn't look as sleek, instead, it has an addition of a "gem" button at the bottom center, under the 3.2 inch scratch and smudge resistant display. The gem button was rumored to be an optical pad, as seen in my Samsung Gem preview, but in reality, it acts as the home button. To the left and right of the "gem" are the menu and back keys. Further out are the call and end call buttons, somewhat rare on an Android powered smartphone nowadays. The 3.2 inch display is fairly smudge resistant and while a more intense test was not performed, was also pretty resistant to scratches. The display angle is decent, though the 240×400 pixel resolution is less than impressive. To the left of the display, along the left edge resides the volume rocker and microUSB port. Opposite, along the right edge, resides a dedicated camera button. The back of the Samsung Gem is clean and sleek, with another "gem" in the middle holding the 3.2 megapixel camera. Unfortunately there's no flash in or around the "gem" for the camera. The Samsung Gem measures up fairly well in the hardware department for an entry level smartphone. Its competitor would most likely be the LG Optimus T (S, M, V, Vortex) family and its soon to be released brother, the Samsung Galaxy Fit. The 800 MHz processor is fairly reactive with very little lag and most applications ran pretty smoothly. It was able to handle Android 2.1 well, though the 124 MB of on board storage is a bit of a let down. The expandable microSD slot helps, though 16 GB seems limited compared to other smartphones that can be expanded to double that size. The Samsung Gem, as mentioned, comes preloaded with Android 2.1. That's definitely a disappointment as many other Android powered smartphones, including entry level smartphones, are now coming preloaded with Android 2.2. Whether or not the Samsung Gem can be upgraded has yet to be seen. The Samsung Gem comes with the usual Android user interface along with Samsung's TouchWiz 3.0, which is the standard for Samsung manufactured Android powered handsets. The hardware that runs Android and TouchWiz on the Samsung Gem is sufficient and no noticeable lag disrupts you when using the phone. The little "gem" in the middle is a nice touch and makes finding the home button easy. Like its older brother, the Samsung Fascinate, the touchscreen interface is extremely easy to pick up and use. The market that the Samsung Gem is aimed for most likely will be using the Gem as their first smartphone. The Android OS is a huge advantage for new users trying to understand smartphones. The Samsung Gem doesn't have a huge distinguishing factor over its other Android powered competitors and unfortunately that seems to be the lay of the land in the highly competitive smartphone market. level smartphones currently released. The camera itself resides in a nice little "gem" as described in the design and display section. It's a decent camera for use when you don't have a camera laying around. The Gem follows in the footsteps of the Samsung Galaxy 3 and 5, both of which had 2 to 3 megapixel cameras. As the Samsung Gem is preloaded with Android, it also gets full access to the applications available in the Android Market. As this "feature" is not limited to the Samsung Gem, it doesn't stand out as much. The downfall is that some applications don't run as well on the Samsung Gem and the fact that it has Android 2.1 means that it doesn't have an inherent Flash player. Even if it were to be updated to Android 2.2, there is a likelihood that the hardware may prevent the Samsung Gem from being able to run Flash. While it may not be a big factor, it does get frustrating at times when Flash doesn't work. The Samsung Gem is quite an attractive smartphone being marketed to the correct audience. While its older brother, the Samsung Galaxy S has dominated the smartphone market globally, the Samsung Gem doesn't seem to have that same flare. While the Galaxy S came out with a bang, the Gem seems to have been released with little more than a murmur. It is a bit unfortunate that the Samsung Gem didn't have much of an advertisement campaign. Overall, for an entry level smartphone, it ranks in as another solid "Average" competitor in the market. The Samsung Gem does have an ever so slight edge over its competitors because of its attractive design but at the same time, comes with the weakness of an operating system that's a generation, pretty much two generations, behind. It seems like all the little things add up to the Samsung Gem being nothing more than a piece of jewelry that people occasionally see in a small market rather than a diamond in the rough like it could have been.